The first time I saw Tim Ryan give a public address was electrifying. Imagine a clean cut, mid-western ex-football star turned U.S. Congressman, speaking with such earnestness about his life changing experience with meditation and his commitment to use his office to help promote and cultivate a “Mindful Nation.” I knew that this was the leader our conscious communities have been waiting for, even if they didn’t know it yet, and I immediately pledged to him that he would have Peacelink’s full support. My generation has grown up with the ghosts of great men like Abraham Lincoln and John F. Kennedy like distant memories. We have been so disillusioned by our government leaders, that meeting a true rainmaker like Tim Ryan feels kind of like seeing a unicorn. When it was brought to our attention by his staff that Congressman Ryan was introducing the Veteran’s Health Promotion Act (H.R.3516), Peacelink answered the call to serve without hesitation. I was aghast to learn that there is an epidemic. Twenty-two combat veterans take their own lives each day because we have not given them the tools for coping with the horrors of war. We have lost more than 10 times as many soldiers to suicide than to combat and our news media remains silent. It has been a privilege and honor to work with many veterans in the past 9 months; spending time interviewing them and teaching meditation techniques. Imagine, you are just 22 years old. You volunteer to serve your country. You spend the best years of your life in a foreign country, forced to do things that are unimaginable to most people. You come home years later and upon dismissal receive no more than a handshake and your discharge papers. You’ve lost comrades in combat, possibly your own limbs. You can’t work. You can’t provide for your family who has already suffered from your absence. No one understands how you feel. You may be suffering from traumatic brain injuries, Post Traumatic Stress Disorder (PTSD), but cannot get approved for benefits for 6-9 months, which then consist only of periodic 15 minute check ups and prescription medications that offer no long term solutions and have debilitating side effects. You can’t sleep so you drink alcohol and use illegal drugs to dull the pain. That is why Ohio Congressman Tim Ryan introduced H.R. 3516, The Veterans and Armed Forces’ Health Promotion Act of 2013 to improve the quality of healthcare provided to our nation's heroes. This landmark legislation will expand benefits for veterans to include meditation and mindfulness programs, alternative medicine and holistic treatments. Our country is spending hundreds of millions of dollars on pharmaceutical medication that offers no cure. Studies have proven overwhelmingly that veterans who practice meditation and holistic medicine experience immediate relief and lasting recovery at almost no cost to the taxpayers. As a think tank and lobby for peace and social activism, Peacelink has brought together a national coalition of veteran’s advocacy groups, journalists, policy makers, experts, yoga and meditation groups for strategic planning, national awareness and ultimately to send a mandate to Congress that this bill must be made the law of the land. How can we speak of peace and turn a blind eye? For too long the “conscious” communities have spoken of peace, but not taken the actions to make that peace a reality. Being conscious is to recognize that we are all connected, and as our brothers and sisters suffer, so too does a part of us, and we must do our part to help. 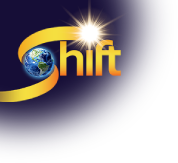 In this respect, The Shift Network has been a shining example of integrity, vision and leadership in the movement. Peacelink is proud to be a partnered with such an august and committed fellowship of peacebuilders and grateful for their continued selfless service to this noble cause. Please sign the petition - click here. Also, please support this Indiegogo campaign to raise awareness about how to end suicide among veterans - click here. Call your local congressman and demand that they co-sponsor this bill. Post on facebook and invite your friends. If you would like to join the Veteran’s Health Coalition, email us at unite@peacelinklive.org or join our mailing list at www.peacelinklive.org. You also can join us in October at the Los Angeles Airport Hilton for the 10 X Summit, where the Veteran’s Coalition will be one of 10 social activist movements meeting to find innovative solutions to the challenges facing our society. The time has come for the tribes to unite. Help us help those who have made the ultimate sacrifice for our nation to find peace. Stand with Congressman Tim Ryan and the Veteran’s Health Coalition to pass H.R. 3516. Jay Ponti is the Founder and Executive Director of Peacelink Live! a think tank and lobby for peace and social activist movements. National Coordinator of the Veteran's Health Coalition. Former Aide-de-camp to Himalayan Master Yogiraj and Sr. Hamsacharya (teacher of kriya yoga). Ponti is the director/ producer of the U.N. Peaceday Broadcast and has been a segment producer on films such as "Tapping the Source" and "Secrets of Love". He is also credited as one of the visionaries behind the global meditation synch of Dec. 21, 2012.